It’s a wild world out there. 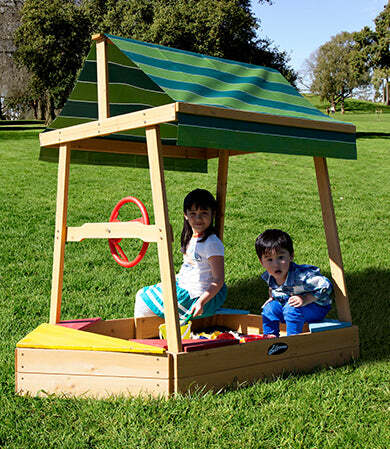 Your kids will have a blast making discoveries at the helm of the boat shaped Explorer Sandpit. 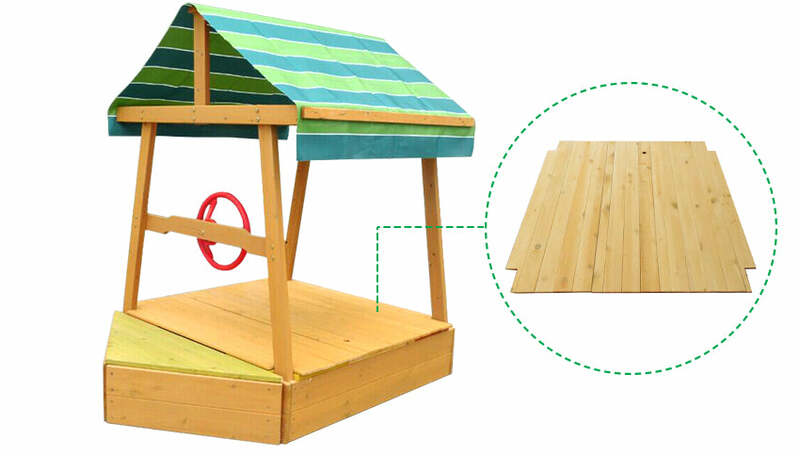 They’ll steer their imaginations with a ship’s wheel and great sized play space. Store cargo in the bow (front) compartment. Keep this boat shipshape with a wooden cover. 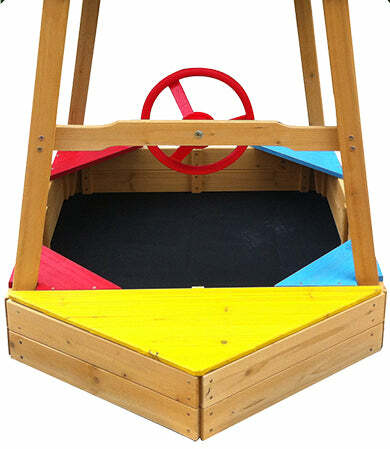 Your kids will have a blast making discoveries at the helmof the boat shaped Explorer Sandpit. They’ll steer their imaginations with a ship’s wheel and great sized play space. Store cargo in the bow (front) compartment. 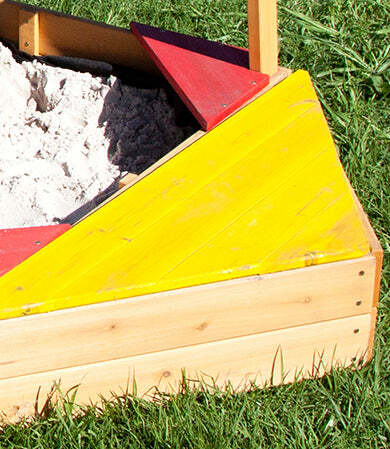 Our Sandpit provides an internal sheet to hold the sandwithin the sandpit, prevents grass and weeds from growing into the sand play area and allows for water drainage. These lids/covers come in multiple sections that makes it easy to take on & off, and is easy to store away when the sandpit is in use. 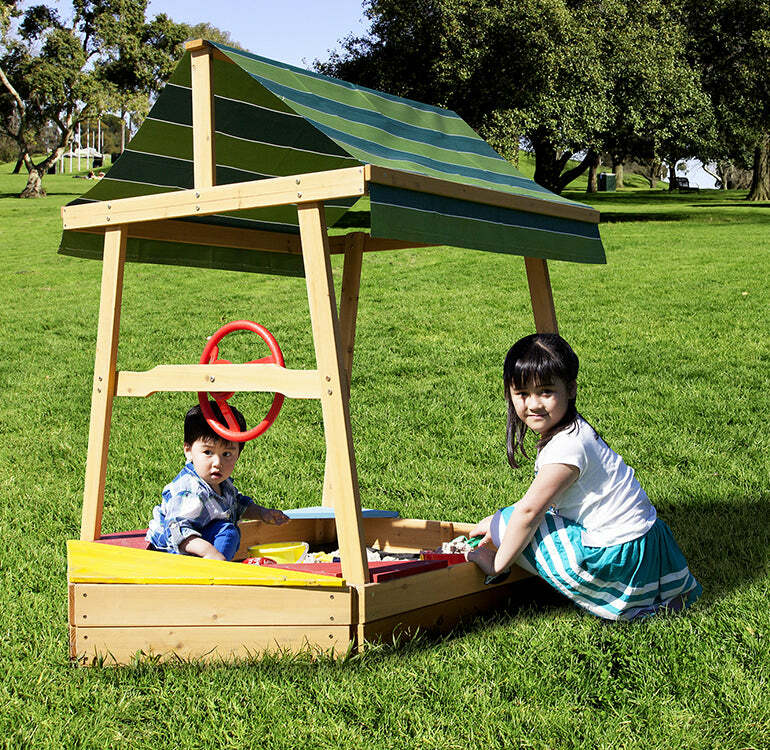 *Sandpit base not included. 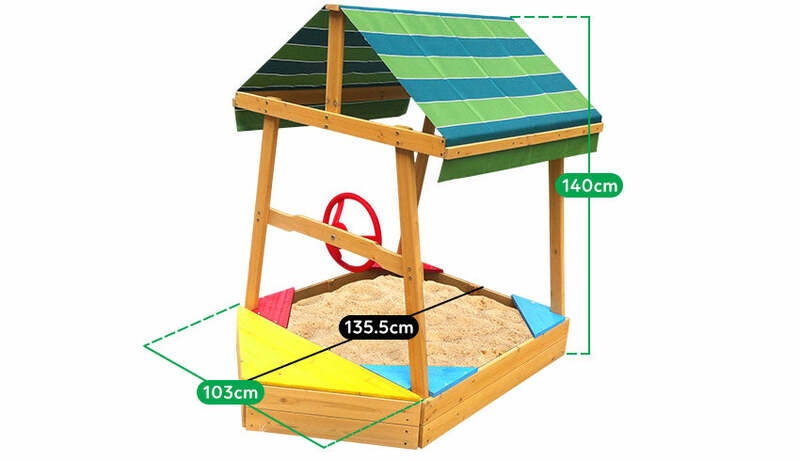 This listing is only for the Sandpit Cover.